Scientifically proven fighting methodology made functional through a transitional matrix of principles based on cognition, physics and geometries. Covering Level 1 to 1st Dan Black Belt. 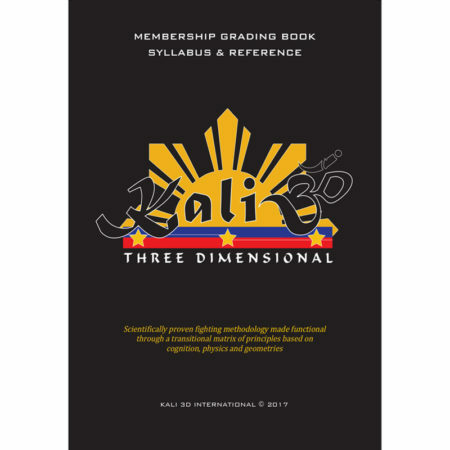 Grading Book (includes membership fee) is a requirement for training in Kali 3D under a licenced Instructor.